The Harriton Ladies’ Key West Short-Sleeve Performance Staff Shirt is available in Sizes: S-3XL and can be purchased from following 5 crossover colors: Cloud Blue, Green Mist, Khaki, Navy and White. SKU: AB-M580W Categories: Activewear, Corporate Apparel, Women's Corporate Apparel, Woven Shirts, Women's Clothing, Shop by Color, Blue, Navy, Green, White Tags: women's clothing, woven shirts Brands: Harriton. This full polyester Ladies Key West Performance Staff Shirt has structured collar stand with integrated collar stays and is suitable for hospitality and resort industries, as well as food and beverage professionals. 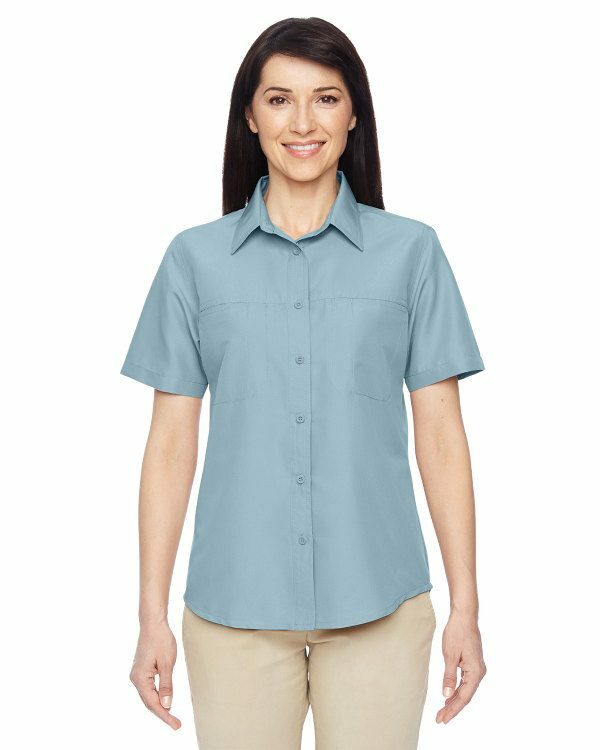 Our Ladies Key West Performance Staff Shirt also has moisture-wicking and anti-microbial performance to keeps you feeling comfortable all day long.